It’s March! We’re finally making our way out of winter, and the hope of spring actually seems like a real possibility. 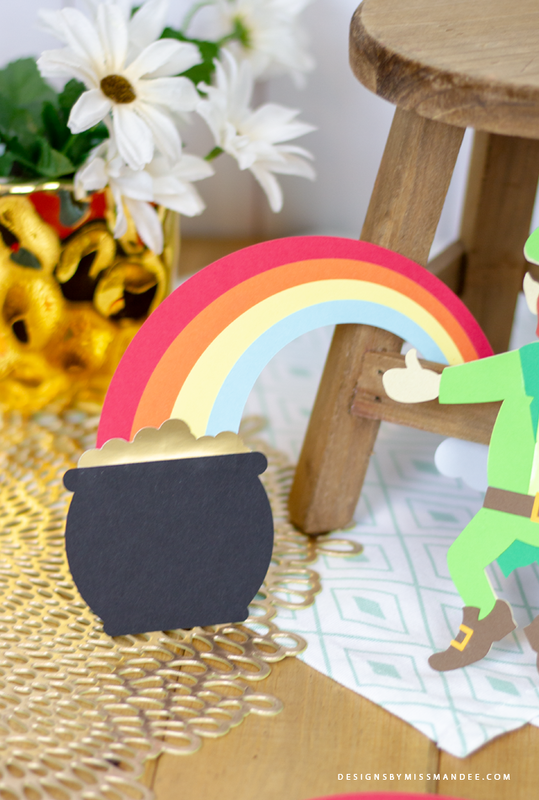 Also, March means that St. Patrick’s day is right around the corner: a day of kisses, pinches, leprechauns, and rainbows leading to pots of gold. 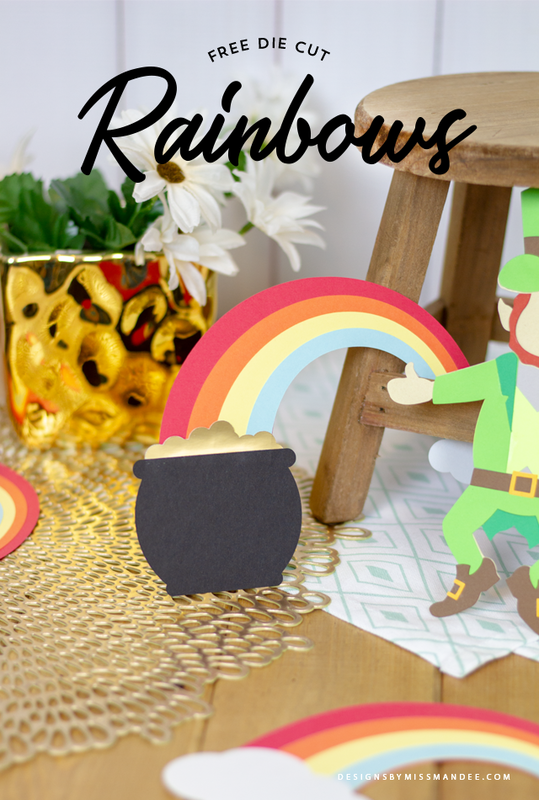 So, today I thought it would be fun to share some die cut rainbows that you can use to decorate for St. Patty’s Day and welcome in spring! I’ve mentioned before that my 5-year-old son loves holidays. In his mind, every holiday should be given the same amount of attention as Christmas. That means that he wants to decorate for every season to welcome in any upcoming festivities. That’s were these rainbows come in. These cute and easy rainbow designs are great for decorations or even spring—themed scrapbook pages! I’ve included both a “pot of gold” version as well as a normal, “cloud” version in the download, so it can work for more than just St. Patrick’s Day. I use a Cricut Maker to do my die cut designs, and I absolutely love it! For tips on creating fun paper cuts like this one, see the FAQ section on my website. Also, be sure to check out some other awesome St. Patrick’s Day freebies available on my blog! 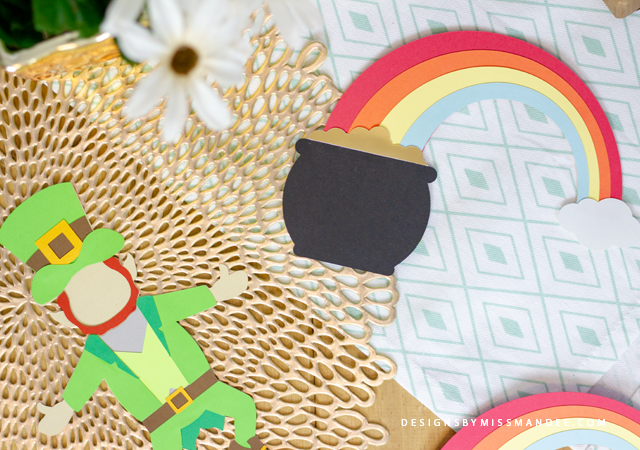 Enjoy making these fun, die cut rainbows! Do your kids/grandkids get as excited for holidays as my little boy does? *This post contains affiliate links. By clicking through my links to make a purchase, you are supporting this blog and the hard work that goes into providing free, quality designs. Driving home from an appointment today, the skies were the darkest grey. As I turned the corner, I saw the brightest – almost fluorescent rainbow. Then I looked to the right of the rainbow there was a 2nd rainbow. 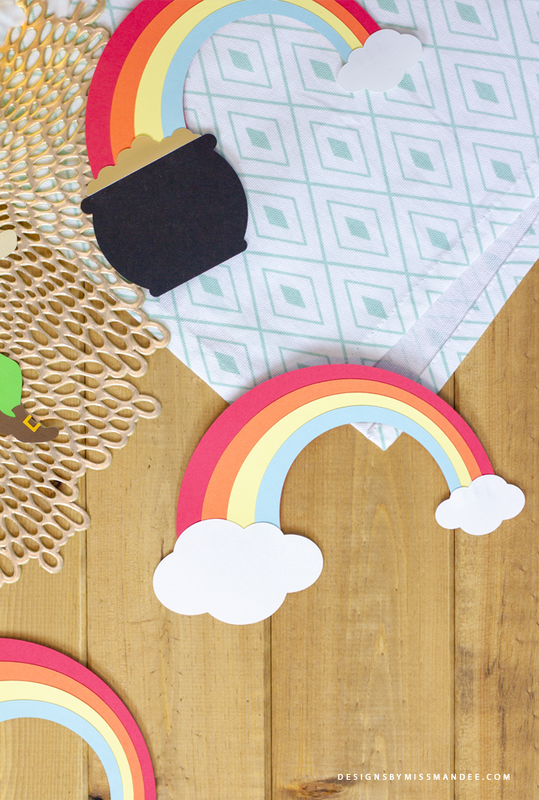 Today, your freebie die cut is also a cute rainbow…im actually a little spooked out. Thank you for the beautiful files you share.